Here we are at the end of another year, so it's a great time to reflect on my favourite books of 2018. As always, I have not read as many books as I would have liked. Trying to find the time to read is always a daily challenge for me. 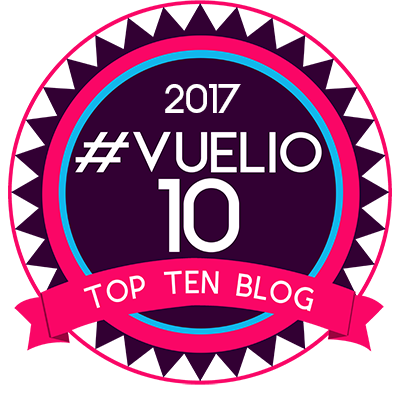 This year I've found it particularly difficult to come up with a definitive top ten list as so many brilliant books have been published this year. There's been another fantastic growth in children's books, but it is still difficult for these to get the media coverage they deserve. I hope that during 2019 people will sit up and become more active in promoting these amazing and special books. On reflection, the books I have selected are a particularly varied list of books this year. However, I would wholeheartedly recommend each and every one. They are all enjoyable and have stayed with me on a personal level throughout the year. It would be really interesting to hear your views and thoughts on this list? Also, please check my end of year award LIST. *Mal Peet - Mr Godley's Phantom - Published by David Fickling Books (2 Aug. It's time to reflect on another blogging/reading year as we draw closer towards 2019. 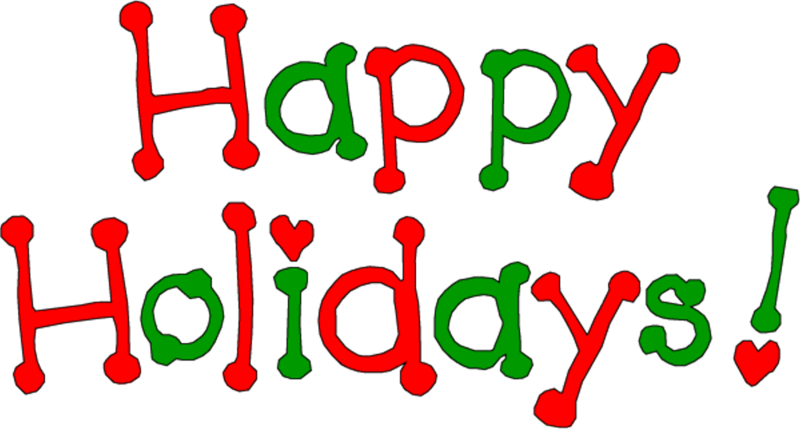 Mr Ripley's Enchanted Books would like to thank all of the publishers, authors, illustrators and anyone one else who has kindly sent books for me to read this year. Every book is much appreciated and isn't taken for granted. I will be posting my favourite reads of 2018 in the next post or so. * David Fickling Books as 'Children's Publisher of the Year 2018'. I have loved every book that I have read this year. Yet again, the care and detail that has gone into each book have been remarkable; every book has thoroughly deserved the space on the bookshelf. I am looking forward to next year and new delights to read. * 'Small Publisher' of the year goes to Floris Books (Scotland) and Firefly Press (Wales). Both of which are fantastic publishers. 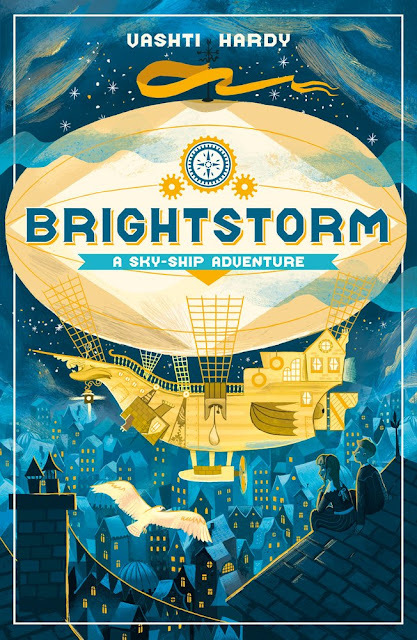 They have a great eye for engaging stories all of which I have enjoyed and loved immensely. * Chris Riddell and Marcus Alexander for their roles in promoting and encouraging children to read for pleasure and for inspiring others. * Favourite illustrator of the year is Karl James Mountford for outstanding work this year and for letting me use his illustration for my blog header, it looks AMAZING! 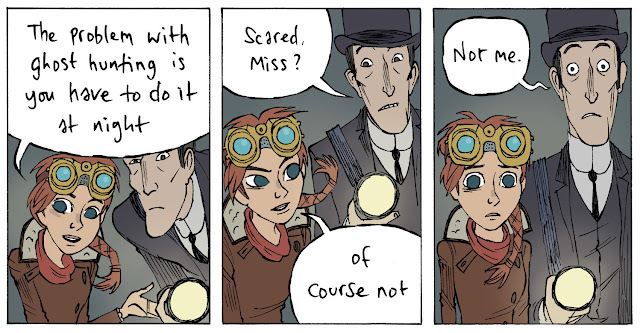 *Favourite Graphic Novel - Scarlett Hart: Monster Hunter by Marcus Sedgwick & Thomas Taylor - Published by First Second. * 'Favourite Picture Book' - Shaun Tan - Tales from the Inner City (Walker Studio). Every page is a delight and an inspiration to see and read. Finally, Mr Ripley's Children's Favourite blog goes to ReaditDaddy. 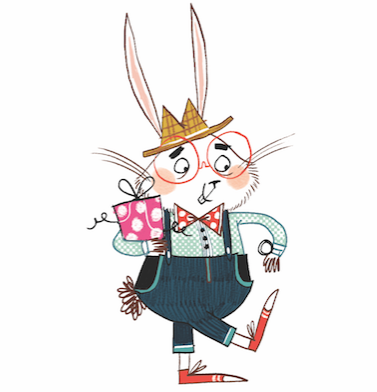 This is a fantastic blog - it is always a great place to find out more about children's books. 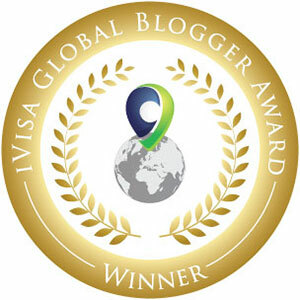 Thank you most of all to the readers of Mr Ripley's Enchanted Books; without you, there would be no blog. Have a great festive period all of you and enjoy the New Year. Wordery 12 Books Of Christmas - What Books Have YOU Bought for Christmas 2018? ‘The Tattooist of Auschwitz’ by Heather Morris comes in third place, a harrowing tale during the time of the Holocaust and a good read for bookworms. 13th December 2018: Findings released today from Wordery reveal the top 12 bestselling books over the past month. Based on sales data from the previous month we can reveal the books that are most likely to end up under your Christmas tree. With nearly 63 million books typically sold in the run-up to Christmas in the UK, which is a third of the market’s annual volume, it comes as no shock that new titles such as ‘Becoming’ by Michelle Obama are in the race to secure the number one slot in the festive book charts. With the big day nearing closer, Wordery reveal which 12 best selling books could be under your Christmas tree this year. View the full graphic here. The number one seller ‘Becoming’ by Michelle Obama, the former First Lady of the United States is a memoir which was published in November 2018. It details her upbringing in Chicago, motherhood, and her time in the White House alongside lighthearted personal and public moments. It’s not really Christmas without ‘The Snowman’ taking the silver baton, as this 40th anniversary gift edition comes with a letter from the author Raymond Briggs and also a limited edition illustrative print. This is one for everyone as it’s a true Christmas tradition for generations of children. The book coming in third is ‘The Tattooist of Auschwitz’ by Heather Morris, which tells the story of a Slovakian Jewish man who is captured and put to work as a tattooist marking his fellow prisoners. It’s a harrowing tale during the time of the Holocaust and a good read for those bookworms out there. Bridie lives on the remote Scottish island of Torrnish, the youngest of three sisters. Although she loves her island, with its wild seas and big skies, she guiltily nurses a secret dream of flight - to America and the freedom of the New World. But her family are struggling under the spiteful oppression of the new Laird, and it seems that even some of the Laird's own household are desperate to leave. When the Laird's full cruelty becomes apparent, there's no more time for daydreams as Bridie needs to help the people she loves to escape to safety. There are so many books to read and so little time to read them. 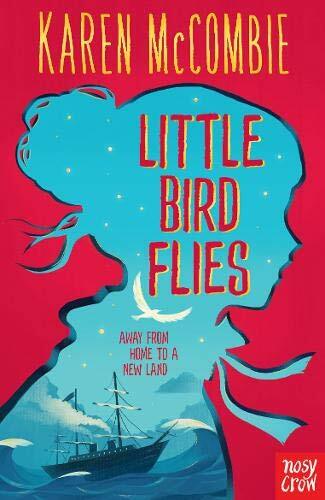 However, it's time for the fluttering wings of Karen McCombie's latest book, Little Bird Flies, to find its way into the hands of many readers. It will soar and swoop to gracefully land in bookshops and beyond from the 10th January 2019. The book will be published by Nosy Crow Books and will be the first novel in a new series that will capture the hearts and minds of the reader in an evocative and charming way. The story takes you on a family journey that harks back to Victorian times in 1861. The setting is both brilliant and captivating; an idyllic Scottish Island where the inhabitants are living a life in total oblivion beyond their own shores. The main character Birdie is a very endearing character. Through her eyes, you view the natural rugged beauty of the landscape which makes you feel and understand the total isolation of the residents from the mainland, the world and beyond. 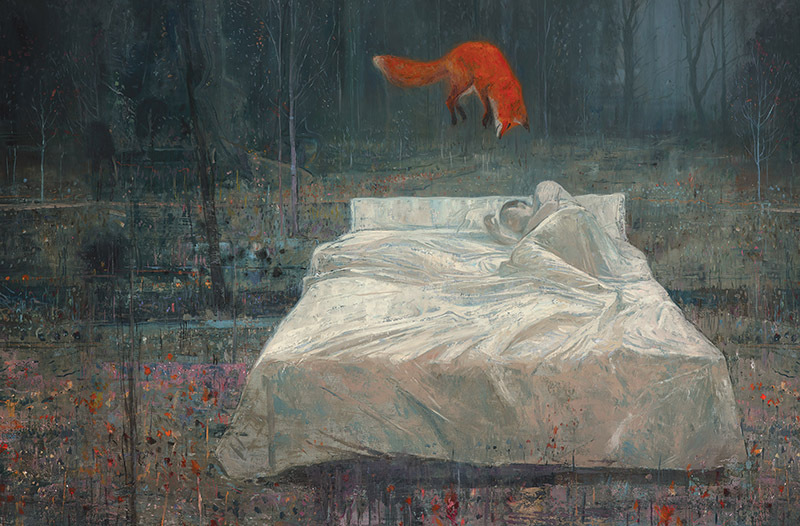 The story washes over the reader in a carefree and dreamlike state. Looking at the blue sky on a warm summer's day, the story draws you into the plight of the characters and the hard life they have living on the Island. However, things change again as the result of a sudden death that darkens both the story and the hearts of the characters. I loved the story and the theme. However, I did feel that in some places the chapters came to an abrupt end. As a result, they felt slightly disjointed when the next chapter started although this did not spoil or disrupt the main content or flow of the story. The story tackles themes of persecution, emigration and human cruelty which makes the story thought-provoking and particularly topical. I was instantly transported to the Scottish Island. In fact, I felt like I was back on Iona running around, exploring the nature and letting the human mind take flight. This story really resonated with me and fuelled my immense enjoyment. It's a lovely slice of Scotland exploring the beauty of the landscape whilst watching the story unfold in devastating fashion. The author has written many other books, most of which I have read and thoroughly enjoyed. However, with this book, the author is connected deeply to the story which makes it a real pleasure to read. It's a family, period-drama adventure that makes your heart yearn for a better outcome. Full of fantastic characters and an amazing story, both of which will ease you into 2019. A further book is due to be published on 4th July 2019 called Little Bird Lands. 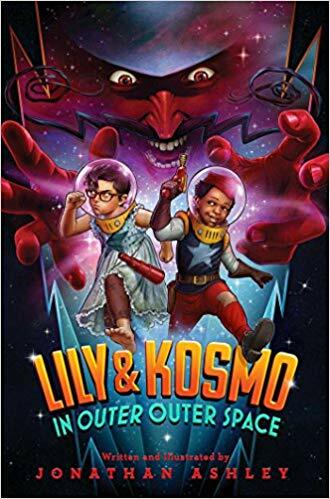 Explore outer outer space where dastardly villains await in this hilarious and inventive illustrated middle-grade novel. Lily Lupino is going to be an astronaut when she grows up. For now, she'll have to settle for listening to science fiction programs on the radio. But when certified Spacetronaut Kosmo Kidd crash lands his wind-up rocket ship in Lily's kitchen, it's a chance Lily can't pass up! Mistaking Lily for a boy, Kosmo agrees to take her back to his floating treehouse in the stars, but it doesn't take long for the other Spacetronauts to figure out that Lily is a girl. Kosmo has accidentally broken Spacetronaut Rule #1: NO WIMMEN ALOWD! Banished to the far reaches of Outer Outer Space, Lily and Kosmo explore exotic alien worlds, meet a menagerie of colorful creatures, and tangle with the vilest villain in space, The Mean-Man of Morgo. But Lily's greatest challenge is proving to her new Spacetronaut peers that a girl from Brooklyn can hold her own among the galaxy's unruliest rascals. 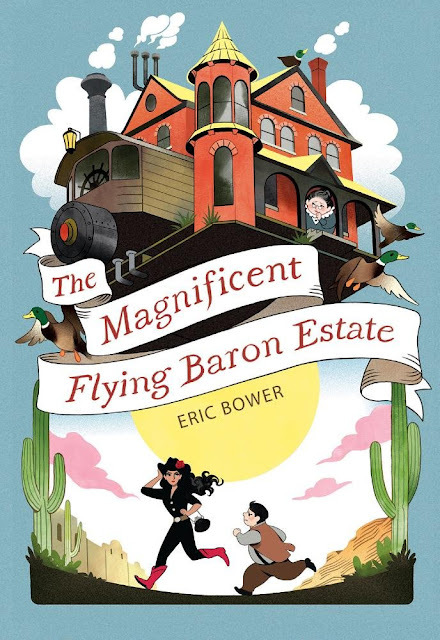 Waldo Baron awakes one morning to find his inventor parents have turned their house into a flying machine, and they intend to enter into a race across the country in the hopes of winning the $500 prize. His parents' plans go astray when they are kidnapped by Rose Blackwood, the sister of notorious villain Benedict Blackwood, who intends to use the prize money to free her brother from prison. 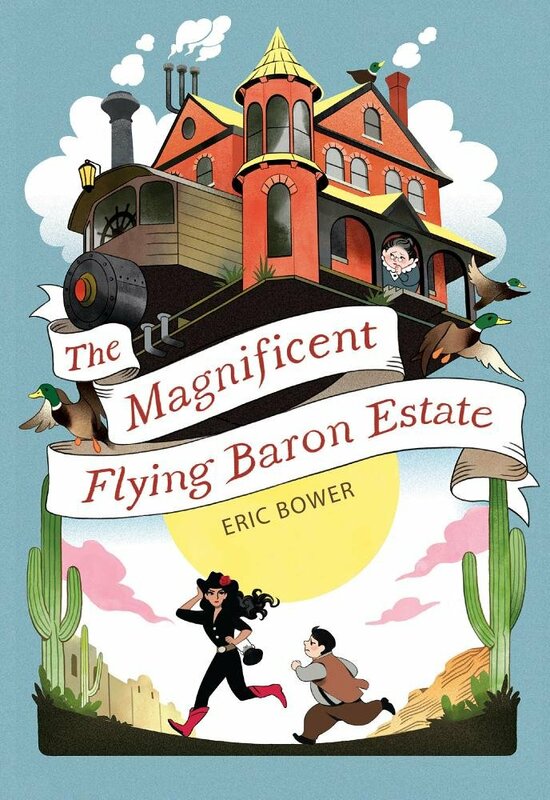 But Rose is not what she seems to be, and Waldo finds himself becoming friends with their kindly kidnapper as they race across the country in the magnificent flying Baron estate! 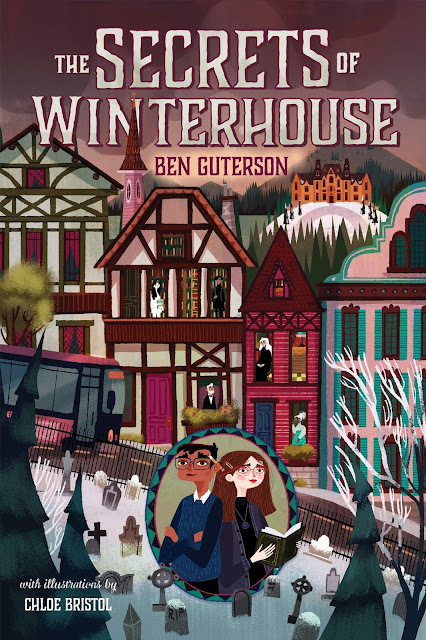 Back at the Winterhouse hotel for another holiday season, Elizabeth and Freddy dig deeper into the mystery surrounding Riley S. Granger, a hotel guest who left behind odd artifacts―one being a magical book that the evil Gracella Winters once attempted to use to gain destructive power over the entire Falls lineage. The two friends follow a trail of clues, inadvertently attracting the attention of a suspicious new hotel guest: Elana Vesper. The clock is ticking as Elizabeth and Freddy struggle to figure out whether Elana is merely a pawn or a player in the plot to revive the spirit of Gracella. If that wasn’t enough, Elizabeth suspects she is coming into her own special powers―and she’s fearful it might lead her right into Gracella’s vicious web. Mystery, adventure, and a winning friendship combine in this much-anticipated sequel. 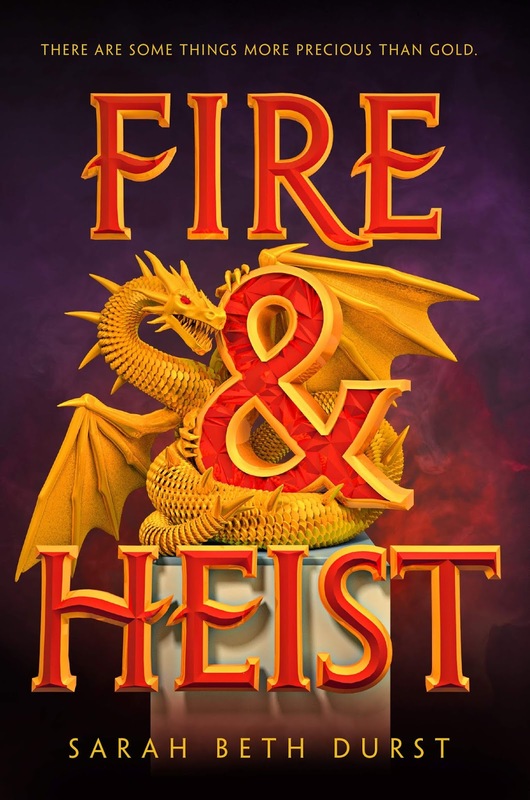 Fans of Cassandra Clare and Julie Kagawa will devour this contemporary fantasy about a teen were-dragon who must steal her first treasure. But a dark discovery during her heist could put her family in incredible danger. In Sky Hawkins's family, leading your first heist is a major milestone--even more so than learning to talk, walk, or do long division. It's a chance to gain power and acceptance within your family and within society. But stealing your first treasure can be complicated, especially when you're a wyvern--a human capable of turning into a dragon. Secrets and lies . . . secrets and lies . . . Fourteen-year-old twins, Kaine and Roxy, used to be close, but now they can hardly bear to be in the same room. Roxy hates the way her brother behaves - Kaine might be brilliant at football but he's always in trouble and cares nothing about his family. And Kaine despises the way his supposedly-perfect sister, dominates their parents in her ambition to reach Wimbledon. But the twins are both hiding dangerous secrets of their own, secrets that could destroy everything they are working towards - and both Roxy and Kaine's survival hangs precariously in the balance. Gripping, twisting, and real, this book is UNSTOPPABLE. Whilst most people are still preparing for Christmas, I am already heading towards the new year with my first book review for 2019. 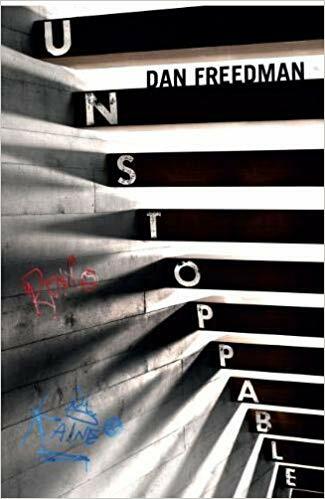 I'm excited to be able to review Dan Freedman's brilliant book which is called UNSTOPPABLE. It will hit the shops in February 2019 and is due to be published by David Fickling Books. 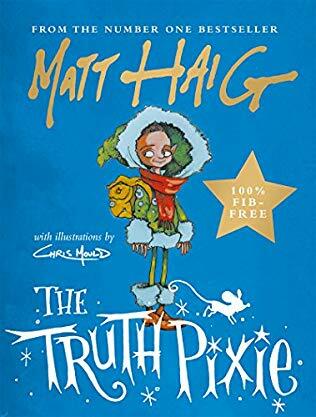 There are many reasons to read this book, but one particular draw are the ways that the main characters have been conceived and developed from the author's visits to schools. As a result, this book pulses with everyday reality and tackles real-life situations that any child might be facing within today's society. The author's careful ear in listening to what pupils were saying and understanding the situations they are facing has enabled him to produce an awe-inspiring book. Many themes are addressed and will be related to by many children such as death and bereavement, gang cultures, friendship, and family issues, unemployment, alcoholism, sibling rivalry, teenager survival etc. The story highlights two amazing characters who are twins and sports fanatics. One has a passion for football whilst the other is a keen tennis player. However, the father's support and involvement in nurturing these talents differs between each twin. Kane, whilst a talented football player, receives little support from his father. Yet Roxy, the potential tennis star, is showered with enthusiasm and encouragement to achieve well within the tennis world. To begin with, this is a positive experience. However, as the story unfolds a dramatic turn of events happens which places a lot of pressure on family relationships. This is a powerful and influential story that is full of passion, drive, and a sporting spirit. However, at times, it is also incredibly poignant and sad. It certainly makes the reader think about and reflect on what it's like to be a family facing difficult times both socially, physically and economically. Nevertheless, even through all these difficulties, the story ends on an uplifting note which will inspire readers young and old. I am fascinated by words, and so the title of H.S. Norup’s debut novel for children grabbed my attention straight away. 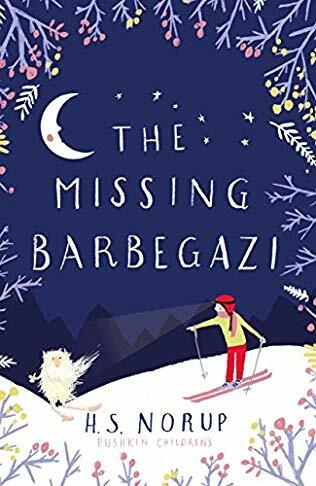 Who, or what, is a ‘barbegazi’?When the word is explained in the novel, I loved its etymology and meaning, and – wonderfully – I was charmed that knowing where it came from changed how I was pronouncing it in my head. That feeling of charmed wonderment sums up my feelings about this book: it’s beautiful and unusual, like a sculpture made from snow. Telling the story of Tessa, a young girl dealing with the death of her beloved Opa (grandfather) and the sickness, possibly heartbreak, of her equally beloved Oma (grandmother), the book takes us through real-life concerns – doing well in a skiing competition, making friends, navigating the world – and also into the heart of an otherworldly, ethereal mystery. This mystery is one which Tessa feels will help her Oma to get well and honour her lost Opa’s memory, and it centres on one unknown quantity: what are the barbegazi? Do they exist? Was Tessa’s Opa making up stories about having seen elves in the mountains? And – chillingly – who else might be on their trail? As well as Tessa’s story we have that of Gawion, a young (by barbegazian standards!) creature determined to get to the bottom of who has kidnapped his sister Maeg, and why. I loved his eccentric, long-lived family and their endearing ways, and also the perspective they gave on history and the treatment of the Other in times gone by. Tessa and Gawion make a unique and perceptive team… but can they save Maeg before it’s too late? Written in clear and lovely prose, this unexpected and striking story is one to be savoured by readers from 8 and up. H.S. Norup was born in Denmark and lived in the US, the UK, Austria and Switzerland before moving to Singapore. Now, she has returned to Switzerland with her husband and two teenage sons. 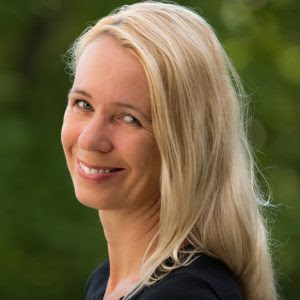 This is Helle's debut novel and very much draws on her love of the Alps, her passion for skiing and her belief that magic is all around us - particularly in the love, trust and companionship found in families.